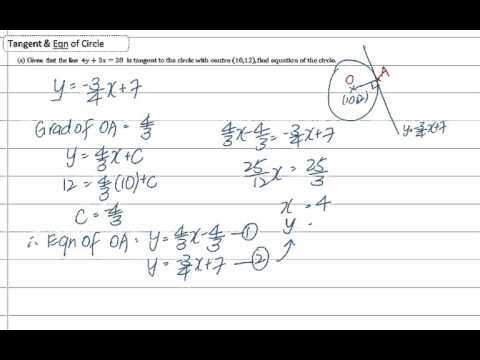 Many students after reading the question take a long time to begin as they don't know how to start. The trick is to draw! Drawing helps us to see and understand the question better. Drawing is one of the keys to answer this question. 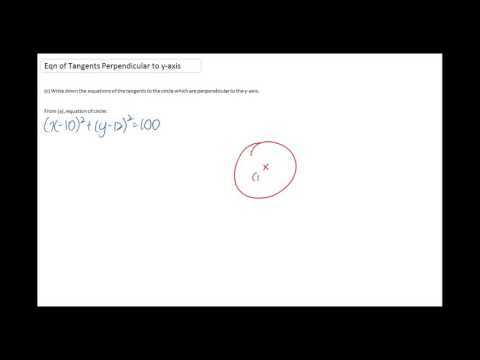 To answer part (a), we need to notice the property of radius is perpendicular to tangent. Also, in part (b) of the question, we need to apply discriminant from the topic of Quadratic. I have shared my thinking process and step-by-step solutions in the following videos. How did you find the videos? Did they help you to understand better? Leave me your feedback in the comment section. Part (b) & (c) URL: Click here to watch part (b) & (c) 5 minutes. Based on my observations on recent mid-year exams papers, prelims papers, it seems like many schools are setting highly application questions for many topics. In this post, I would like to share with you an example of how modulus graph can be tested by applying our basic concepts on equations of lines. I have been reminding my students to keep their mind open to 'new - trend' questions which might require their fast thinking on the spot so we keep our mind flexible when we do our O-Level examinations. I hope you learn useful concepts and thinking skills on this question. Do leave me a comment if you have any other questions.